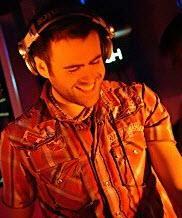 Gareth Emery's rise to popularity as a trace music DJ started in 2002. His first vinyl album is a remix of "Nervous Breakdown”, became a widely popular remix. Gareth Emery has succeeded in offering unique flavor of music that pushes the boundaries of trance and techno music. But the initial vinyl record was merely a prelude to his "Mistral" - a record that was first heard in Nature One Festival. None other than Paul van Dyk played the mix live which was well received by the audience. "Mistral" was made in only in two weeks - developed using only a laptop during Emery's vacation. Since his success with "Mistral", he slowly established himself as a performing DJ in various clubs in UK. From 2004-2006, he has worked extensively in UK and Canadian clubs. During these years, he also worked with his own label, Five AM. This allowed him to release various remixes and original tracks that have helped in boosting his popularity. Although his rise to international fame has already started due to his constant touring, his international recognition was sealed when he started "The Gareth Emery Podcast". This bi-monthly podcast by Emery features his latest remixes and enhancements (other techno music) and these can be downloaded for free. It's often regarded as the leading podcast for professional and aspiring musicians around the world. In 2008, Emery founded his own record label Garuda. His first album under this label was "Exposure/Metropolis". The new record label also signaled his transformation into a DJ closely involved in the night club scene.